This report is prepared as a fulfillment of partial requirement of Microeconomics. The topic was authorized by the course teacher Dr. A.K.M. Saiful Majid, Professor of IBA, as a term paper to be submitted on February 12, 2007. The plastic industry is clustered in the Islam Bagh area of old Dhaka. There is no official registration of these firms; there total number is not certain. According to estimates by a number of entrepreneurs the total number of firms could exceed 3000. But the industry has now expanded to outside the capital. It has been learnt that, some new plastic industries has been recently established in Chittagong, Bogra, Comilla and many other parts of the country, mainly to cater the needs of the local markets. 1) The purpose of this report is to get an exposure to the real world situation of the economic environment of the country. 2) This study will give us an opportunity to experience how the small and medium sized enterprises are actually operated in the country. 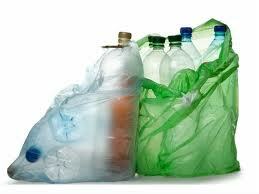 In order to achieve this objective I have chosen the Plastic Industry sector of Bangladesh to conduct the study. 3) The main goal will be to point out the problems and challenges of entrepreneurs in this industry and find some solutions. The report will provide background information on Small and Medium Industries in Bangladesh; the focus will be on Plastic industry. The scope of the study is the manufacturers of different plastic products in the areas of Green-road, Alu-bazar, Nazimuddin-road, Lalbagh, the Mitford area, Tejgaon industrial area and Islambagh; all in Dhaka city. In my report I will focus on the plastic furniture and toys. The term business has different meanings to different people this broad all-inclusive term can be applied to many kinds of organization. Business provides the bulk of our employment. Business consists of all profit-seeking activities and enterprises that provide goods and services necessary to an economic system. Some businesses produce tangible products, such as automobiles, breakfast, computer chips etc. Others provide services, such as insurance, hotel room rental etc. Business is the economic pulse of a nation, the means through which society’s standard of living improves. Profits are a primary mechanism for accomplishing these goals. But, besides earning profits, successful businesses also seek to meet their ethical and social responsibilities. This means businesses must be responsible in the dealings with employees, consumers, competitors, suppliers, government. But its implication vary from country to country on the basis of the stage of economic development and the nature of the economy itself, type of industry, section importance in the economy and many other considerations. In Bangladesh, the definition of small-scale industry has undergone changes from time to time. The evolution of the definitions is discussed below. During the period 1957-65, small industry in Bangladesh, then East Pakistan, stood for an industrial establishment or unit run mainly with hired labor, not exceeding 50 workers when power was used; and whose investment in land, building and machinery did not exceed Tk.0.25 million in value. In 1970, the definition was changed by raising the fixed investment ceiling in fixed assets to Tk. 1.00 million. There was no limitation on the number of workers that could be employed by small industry. In the post-liberation policy of 1972-73, the Government limited the size of investment in the private sector to Tk.2.50 million. It was stated that an industrial unit having less than Tk.2.5 million fixed investments, including land would be considered small industry. These definitions indicate in Bangladesh there is no uniformity either in respect to fixed investment or employment criterion. In most cases, the employment criterion is absent. There appears to be no clear-cut demarcation between small, medium and cottage industries. Such a diversity is not surprising, since small is a relative concept. As stated before what is considered large in one country may be considered small in another. Moreover, the definitions will vary depending on the purpose for which they were designed in a particular country at a particular time. Thus, we can see changing definitions of small-enterprises in Bangladesh over the years. There was almost no data on small industries from 1971-1978. The data on this important sector was available from the year 1979. Since then the number of small industries has steadily increased over the years. The number and growth rate of the small industries are presented in the following table. A careful study of the documents on the policy of incentives and facilities revealed that there is a wide gap between policy announcements and implementations steps. Though it has been repeatedly emphasized that small industries constitutes an important part of the economy, yet no separate clear cut policy for this sector has been ever designed and whatever was designed has not been fully and consistently implemented. As for example, the investment outlay for the small sector during the Second and Third Five Year Plans were Tk.125.00 million and Tk.160.00 million respectively. But the performance during the Second and Third plan was 25 percent and 52 percent respectively. Problems of the large and small industries of the country are not identical. But it seems that, these two sectors were viewed in Government Policy from almost same angle. Excepting minor concessions in some specific areas, no real discrimination was made in the provisions of incentives and fiscal concessions between the large and small industries. The natural outcome was the deprivation of the facilities and concessions to small entrepreneurs in the face of competition from the affluent big industrial counterparts. There exists a good deal of gap regarding the scope, concept and definitions of the small industries. One agency took it to be an enterprise which has fixed assets up to Tk.2.5 million including land, while another agency took it to be an enterprise with fixed assets up to Tk.1.00 million excluding the value of land. Despite the disadvantages felt an appropriate definition has not yet been evolved or designed. This situation has led to many difficulties in developing and executing proper promotional assistance programs by the concerned institutions keeping in view the special needs of the small industries sector. So there is a strongly felt need of a uniform and appropriate definition of the small industries. Selecting a legal form of business ownership is a complex and critical decision for the owners of any organization. Every business, be it Beximco Pharma. Or the local plastic utensil shop, must choose the legal form of ownership that best fits the needs. Various factors must be considered when choosing a form of business ownership. Some of these variables include ease of formation, financial liabilities, ability of financial resources and management skills, taxes, the ability to raise capital and the personal interests of those involved. The most widely used form of private ownership is the Sole proprietorship, Partnership and corporation. The original form of business ownership is the Sole-proprietorship, an organization owned and usually operated by single individual. It is also the simplest type of ownership because there is no legal distinction between the sole-proprietor as an individual and as a business owner. In this case two or more persons operate a business as co-owners by voluntary legal agreement. A corporation is a legal entity with authority to act and have liability seperate and apart from its owners. A corporation can be formed only with the authorization of appropriate government agencies. Corporate ownership is represented by shares of stock in the firm. The plastic industry of Bangladesh encompasses a large variety of products for different types of customers.